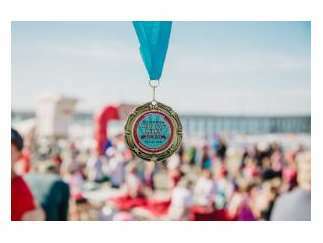 This beautiful 10K (6.2 miles) race course runs along the water's edge from Morro Rock to the Cayucos Pier. At any given time, there are over 900 children in foster care in San Luis Obispo and Santa Barbara counties who need support and services. Family Care Network partners with the community with Miracle Miles for Kids 10K to help meet these needs. Miracle Miles for Kids was created to raise funds that allow us to fully support the crucial needs of children, youth and families impacted by trauma. Last year, over 2,500 people participated - all working to make a difference. Anyone 17 and under can register for free. Race begins at 8am at Morro Rock.